Was 2016 so Bad in Brazil? Now that I have been living in Brazil for some years my whole perspective on life has changed. My sense of being British has changed as well. As my Portuguese improves, I am better able each year to experience Brazil at an ever deeper level, conversing and connecting with people without the need for translation, being the recipient of untold generosity, and really now starting to understand the nuances of this complex society. Maria and I always spend some of December and most of January back in the UK catching up with friends and families. It’s interesting watching news items such as Sky News annual review, as this is more a review of the UK, some of Europe and the United States. Residing in South America, you really noticed the complete absence of any mention of Latin America, let alone South America. Brazil like every country saw the loss of great actors, academics and other famous and distinguished people this year, as well as the tragic plane crash with the Chapecoense football team, journalists and plane crew. This even brought people together from all around the world, as teams came out in memory of those who died, and in support of their loved ones back home. It was amazing to see this, and shows just how much humanity is inside of people. I am well aware that 2016 has been a tough year for many. I am not just talking about those who, somewhat superficially it seemed, joined in the collective social media hysteria any time a celebrity passed away (often from years of drug overdose). In Brazil millions have been losing their jobs in a society which simply does not have the same level of social support as those in the UK, and when you really have the opportunity to talk in depth to some people here who have the toughest life stories imaginable, working in extremely low-paid jobs, travelling hours each day, you really start to wonder about why some people are complaining. There are millions of Brazilians who would absolutely love to be change their lives with many in the West who are saying that 2016 has been terrible. I know that the Lava Jato corruption case is getting regular media coverage outside of Brazil, but I would have loved to have seen this in the news reviews in Britain. This continues to generate sensation after sensation on a weekly basis, and in 2017 we will see many more of Brazil’s corrupt political elites in prison. 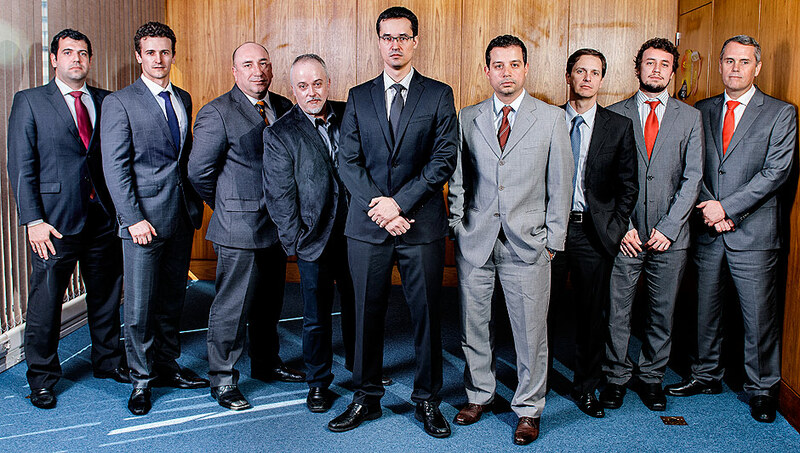 The photo below below shows many of the unsung heroes, those working with Sergio Moro, working under the most intense pressure and risk to life, and who continue with their campaign “Ten Measures Against Corruption”, which aims to change the law to make corruption far more difficult to carry out. The campaign is headed up by Deltan Dellagnol, and he is continually on television talking about the status of Lava Jato. Some weeks ago he talked about the way in which their main strategy has been to communicate regularly with the public, being as open as possible, and educating people as to what is happening and why. One of his main points has always been to say that they simply cannot have the success they are having without the Brazilian people on their side. 2016 was the year when Brazil em mass went to the streets, and regardless of their political persuasion, said yes, we are on your side. There is another campaign called Vem Prá Rua (Go to the Streets) and this is the team behind the video above which asks the question “Was 2016 a Bad Year?”. In the video, the commentator says that 2016 was the year when Brazilians learnt to go to the steet, since for too long their passivity has allowed corrupt politicians to steal at will with little repercussions. One thing you will not be seeing on television news are the videos shared on social media of corrupt politicians now walking through airports and shopping for luxury goods being screamed at by a now wise public. These are always great videos to watch, with people identifying them and then shouting “Arrest this thief” for all to hear. 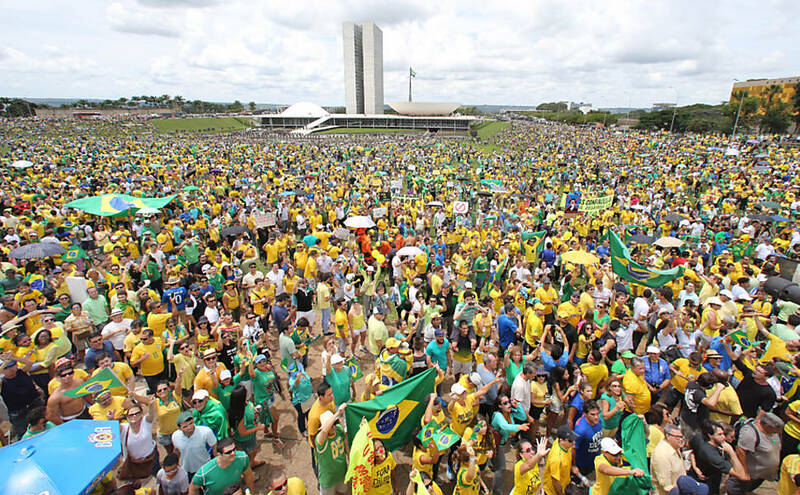 The Brazilian people are now using social media in a way in which is not getting so much media attention outside of Brazil, but there is humour and creativity in the reaction to these monumental events, people educating others, sharing their dissatisfaction, and coming together in green and yellow, the national colours of Brazil, going to the streets to say that corruption from any party is not acceptable. The video shows many of the most powerful politicians in Brazil now being arrested or official suspects. It also reminds us that Marcelo Odebrecht, Brazil’s most powerful entrepreneur, is also in prison. This is incredible, and with 2016 finishing with the largest plea bargain in the world which names at least 200 politicians, Brazil’s prisons are set to become even more crowded. I saw recently that proportionally, the social class with the highest number in prison is Brazil’s elite class. This would have been unthinkable just a few years ago, and this year the percentage is set to increase even further. So yes, in 2016 Brazil saw its fair share of tragedy and loss, and the economic situation has continues to worsen. But Brazil is an insanely rich country. The Lava Jato team have already recouped R$10 billion (around £2.5 billion) for the country, and this figure is set to increase. It is almost impossible to get your head around how much money has been stolen, money meant for education, hospitals, medicines, roads, infrastructure. People here paid around R$2 trillion in taxes, but little of this actually ended up where it was meant to legitimately be. The money ended up in the pockets of the corrupt, but now due to the heroic efforts of a small number of honest lawyers, and with the support of the Brazilian people, this gravy train is coming to an end. People are waking up and the effects are dramatic. So as the video concludes, 2016 was a bad year – for those who were corrupt. People are saying peacefully, albeit noisily, stop thief. Don’t you dare steal from us, and take medicines from the mouths of those who are sick, and food from the needy, and education from our children. Brazil is showing the world how to deal with corruption, a lesson well worth watching this coming year.